WisePops: Super Power and Automate List Building. Automate list growth with contextual targeting based on user behavior. 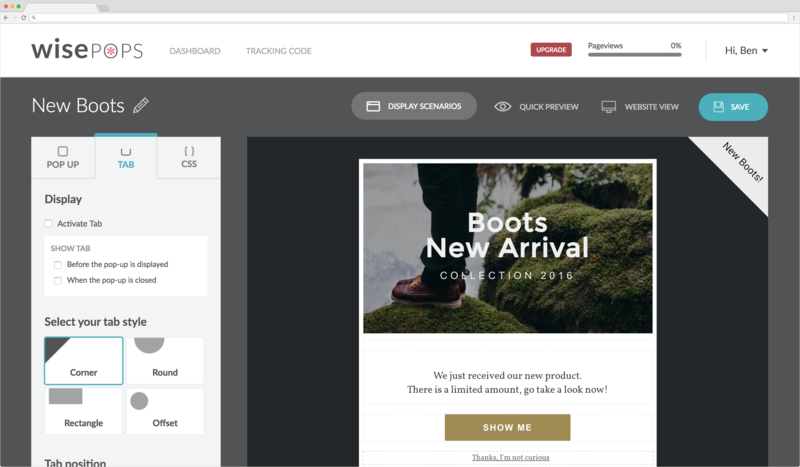 Transform visitors into contacts and customers with gorgeous, brand empowering popups, tabs and overlays. Fuel and automate list growth with WisePops. Trusted by respected brands and the most profitable eccommece businesses, WisePops powers lead generation, maximizes sales and is the no-brainer power-up for an email marketing strategy. 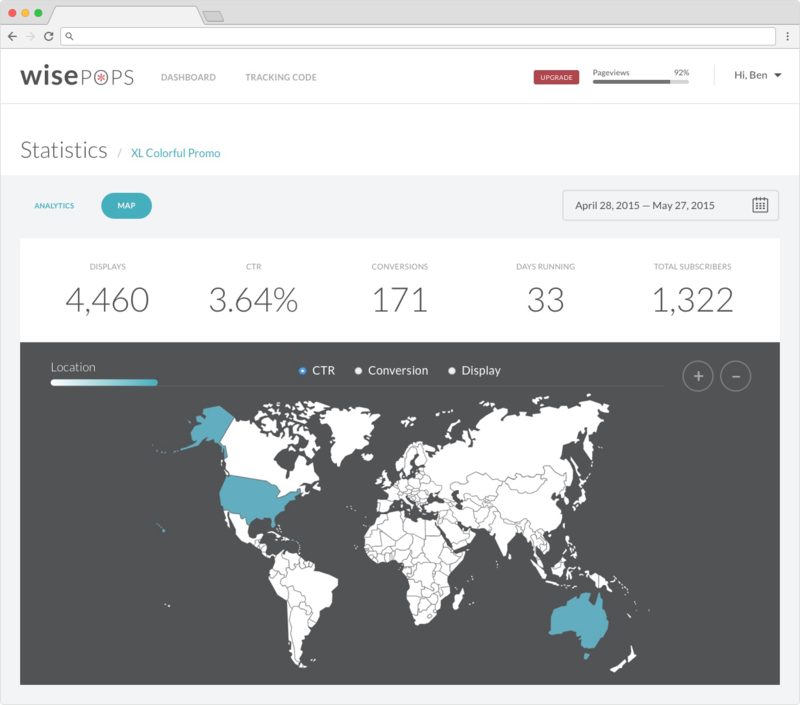 WisePops makes it easy for you to launch all types of marketing campaigns in just a few clicks: seasonal promotions, sales, cart abandonment, user feedback & more. Advanced Statistics, A/B Testing, Advanced Targeting, Scheduling and more empower your list growth. 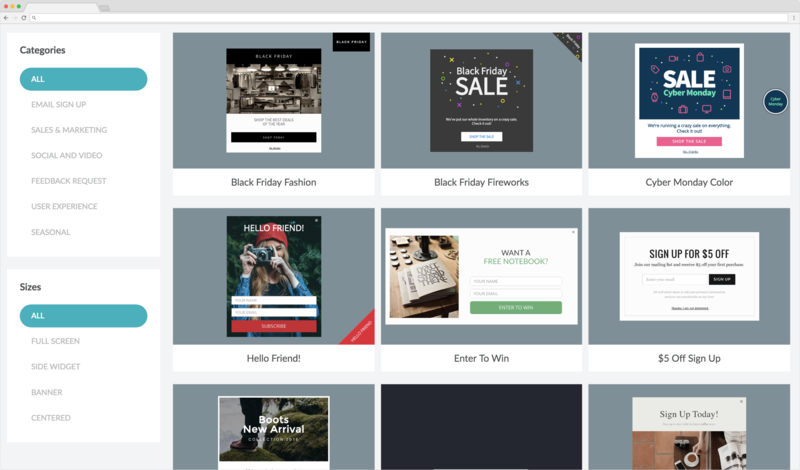 WisePops’ easy drag and drop builder allows you to pick from dozens of popups, overlays and banners - or build your own from scratch with a few clicks. 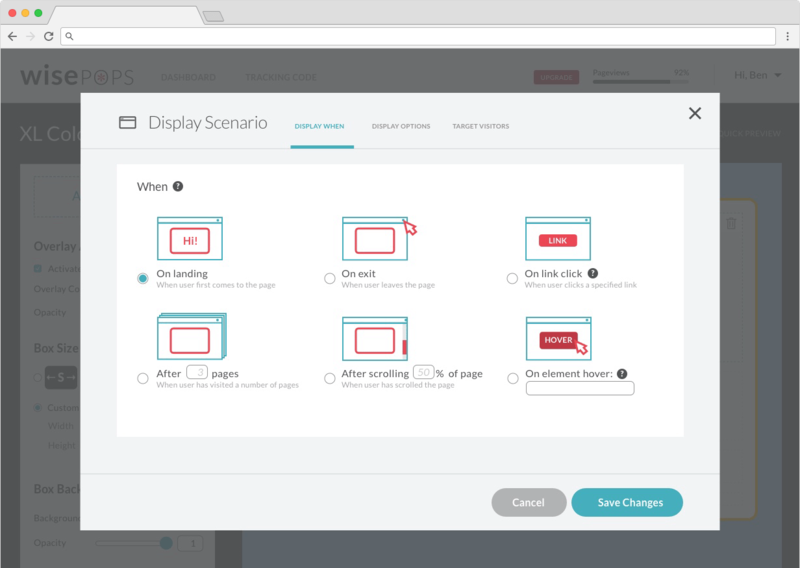 Advanced Targeting enables you to set exactly to whom the popup will be displayed. I.E. new visitor coming from Facebook, repeat visitor leaving your site, mobile visitors, visitors from AdWords or Search, etc. 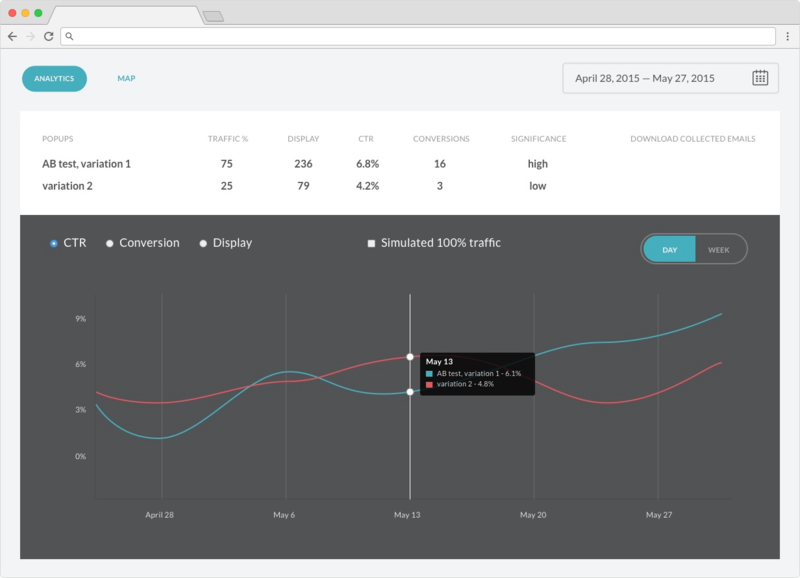 Launch messaging on a range of behavior such as exiting visitors, number of pages, percentage scrolled and more. Find out more about what WisePops customers think of the service.